Now that the Samsung Galaxy S5 is out and available for everyone to pick up, we’re now starting to see a few more leaks for the Samsung Galaxy S5 Active. Last year, Samsung did a water-resistant version of their Galaxy S4, which was actually one of my favorite devices. I really liked it better than the original Galaxy S4, and for two reasons. I really liked the way it looked and felt in hand, as well as the display. I’m not a fan of AMOLED, and I know a lot of people are, but I prefer LCD and IPS displays. With that being said, the Galaxy S5 is water-resistant so why are we looking at a Galaxy S5 Active? Well because that’s what Samsung is known to do, release a ton of devices every year. 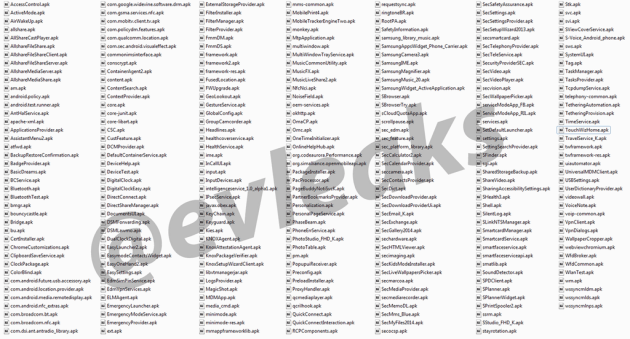 Last night, @evleaks leaked out a list of the 277 APKs found on the Samsung Galaxy S5, which you can see in the image below. The leak doesn’t really tell us anything about specs, etc., but if it’s anything like the Samsung Galaxy S4 Active, I wouldn’t expect the same specs as what is in the Galaxy S5. Probably a 13MP camera, and a 1080p LCD display, Those were the two big differences last year between the Galaxy S4 and Galaxy S4 Active. Last year, the Galaxy S4 Active was also exclusive to AT&T, hopefully Samsung doesn’t do that again this year, but then again I can’t think of a reason to buy the Galaxy S5 Active over the Galaxy S5. Although I’m sure Samsung will give us plenty of reasons too once it’s announced. Speaking of which, we’ll probably see an announcement later this summer, as we did last year for the Galaxy S4 Active, Galaxy S4 Mini and Galaxy S4 Zoom. Are any of you interested in the Samsung Galaxy S5 Active? Let us know in the comments below. 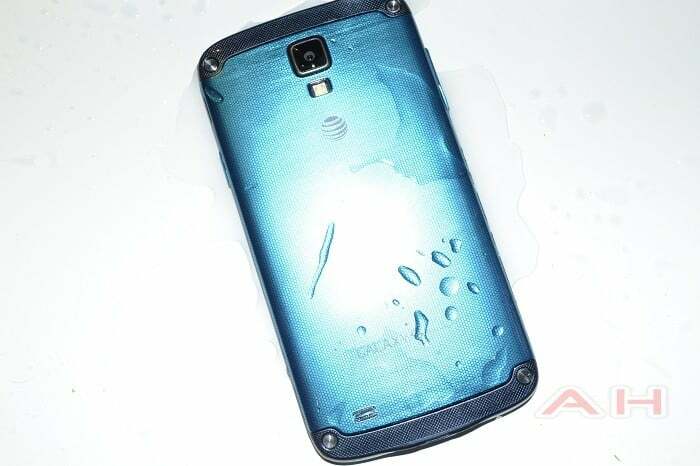 The post List of 277 APKs for the Samsung Galaxy S5 Active Leak Out appeared first on AndroidHeadlines.com |.